This entry was posted on Friday, November 11th, 2016 at 9:58 am	and is filed under . You can follow any responses to this entry through the RSS 2.0 feed. You can skip to the end and leave a response. Pinging is currently not allowed. 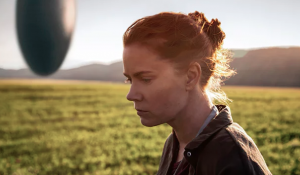 « Film Review #2: ‘The Arrival’! Tattoo looks fresh. Hold that. I guess, being a diabetic, you don't mind needles. I'm Michael, by the way. Scofield. I've read your report. Tancredi like the governor? You're not related, are you? Wouldn't think you'd find the daughter of Frontier Justice Frank working in a prison. As a doctor, no less. I believe in being part of the solution, not the problem. "Be the change you wanna see in the world"... What? Nothing. That was just my senior quote. That was you? This whole time, I was thinking it was Gandhi.